A full compliment of mods and modes, combined with the ability to use several mods at the same time, equals thousands of possible combinations for maximum compatibility with the most popular games! The controller is 100% safe for online use. 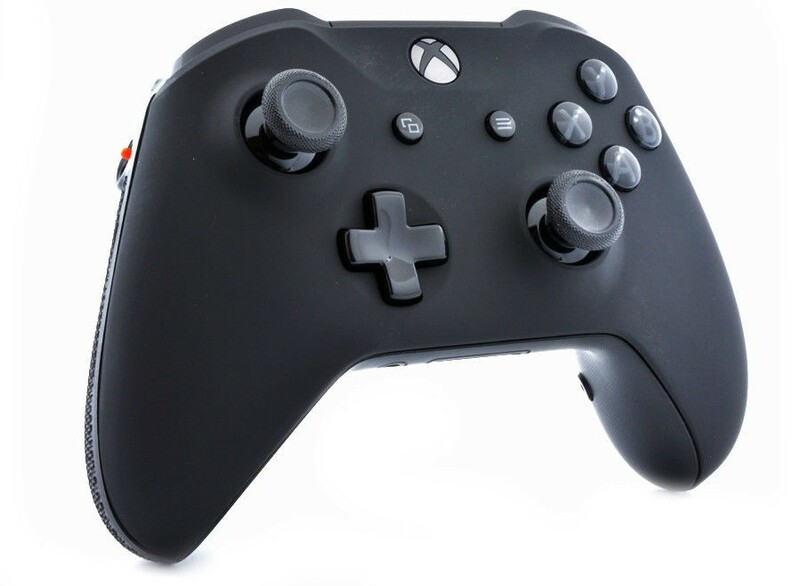 This pro version features 4 programmable buttons on the back of the controller. 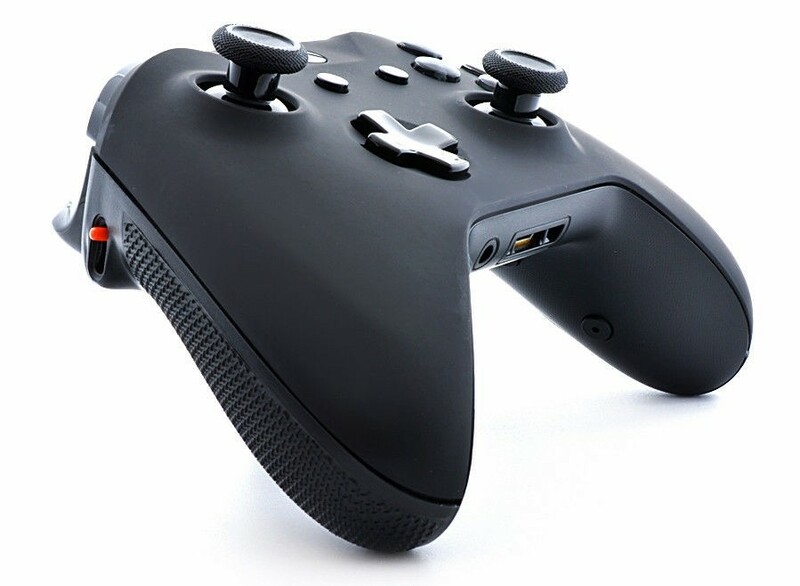 The buttons can replicate any button on the controller, and allows gamers to press buttons without removing their thumbs from the analog sticks. This decreases the time it takes to press buttons, allowing the use of the fingers that are on the back of the controller. 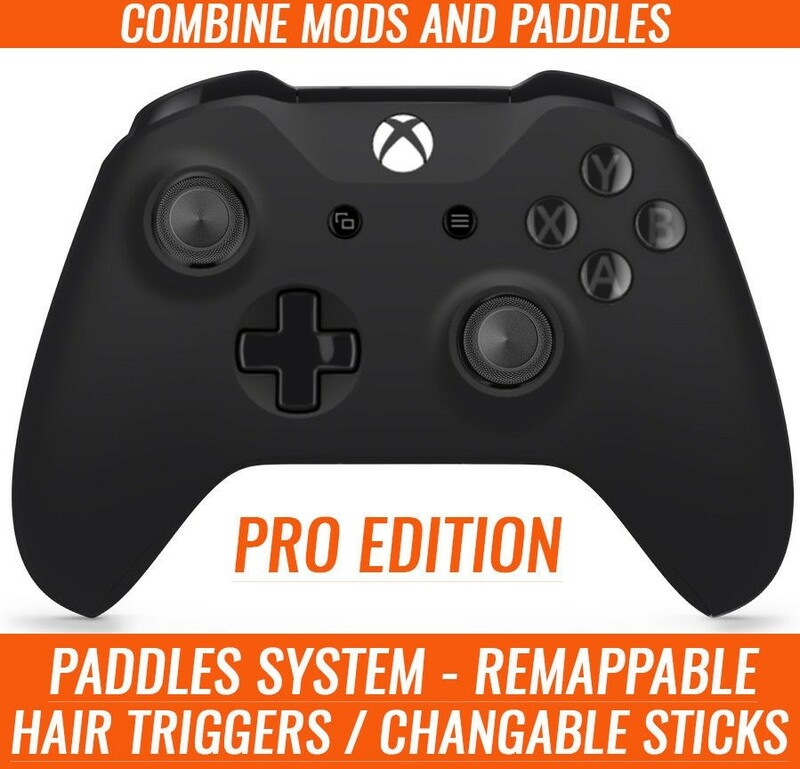 Combine mods and paddles for better performance. Transform your Playstation 4 controller into the ultimate gaming accessory with this custom grip. MZ hair triggers allow for faster shots and improve accuracy while rubber grips provide a better grasp for more control. Presenting the most advanced modded controller ever created. 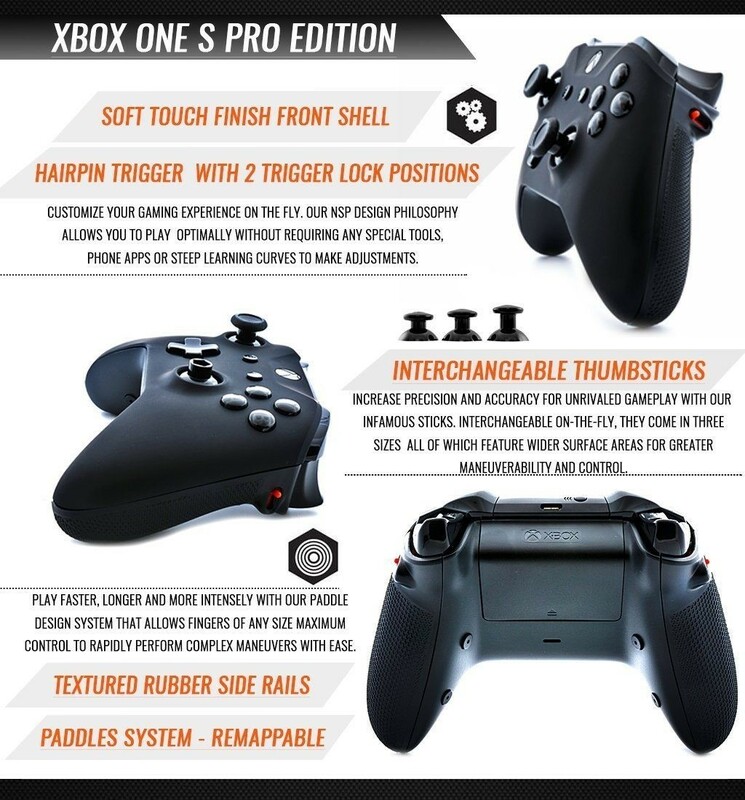 Why buy a controller that has all these features, modes, and speeds if you can only use one at a time? With this controller EVERY MOD is packed into one mode! No more cycling through a bunch of useless modes just to get to a simple speed. Everything you need is all in one mode. Very easy to turn functions on/off. For example, if you want to use rapid fire, auto aim, and dropshot at the same time; simply turn them all on! This revolutionary mod is only found within our company, no other business comes close to our controllers. This product comes with over 10,000 different function combinations! Program your own custom speeds and save them. 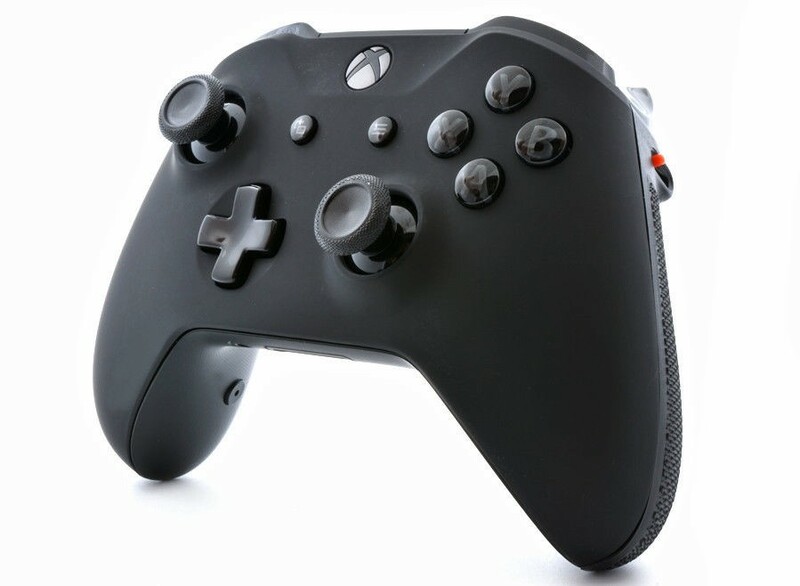 Included in this controller is dropshot, burst fire, auto aim, dual rapid fire, jitter, quickscope, programmable functions, and more. So what are you waiting for? Take advantage of this amazing offer today, never buy another modded controller again with Infusion! The infusion modded controller is completely indomitable. We are in no way, shape, or form exaggerating or overhyping this outstanding technology. First off let me explain the terms; mode, function, and sub mode. Now you're probably familiar with the first one "mode", although our modes are far different from our competitors. Other suppliers use as a single program of your choosing for each mode. Then you hold the button for a couple seconds, and it changes the mode. Spending a ridiculous amount of time cycling through all of their "modes" just to get to one mod (i.e; Rapid Fire, Akimbo, Dropshot, etc.). 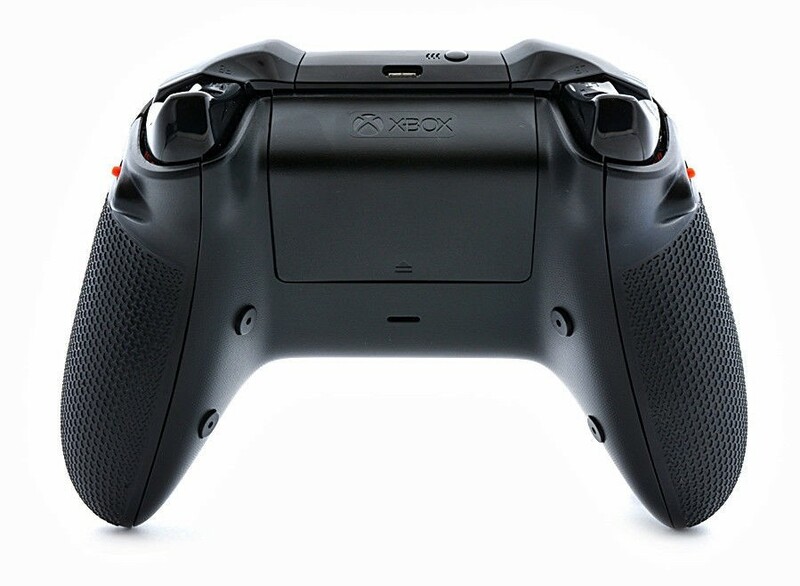 How the modes work with infusion has changed the face of controller modding. The first thing you do when setting up our controller is set the mode, or I like to call it "Game Mode". This is something that is only set once, depending on how many games you play. Once you set the game mode its free reign to over 500 functions! This brings us to the second term "function". The program of the actual mod; fast reload, auto aim, quickscope, and many more. To turn them on simply click a button combination, each function has a different combo. There is no limit to how many functions you want to turn on, heck turn them all on if you want! 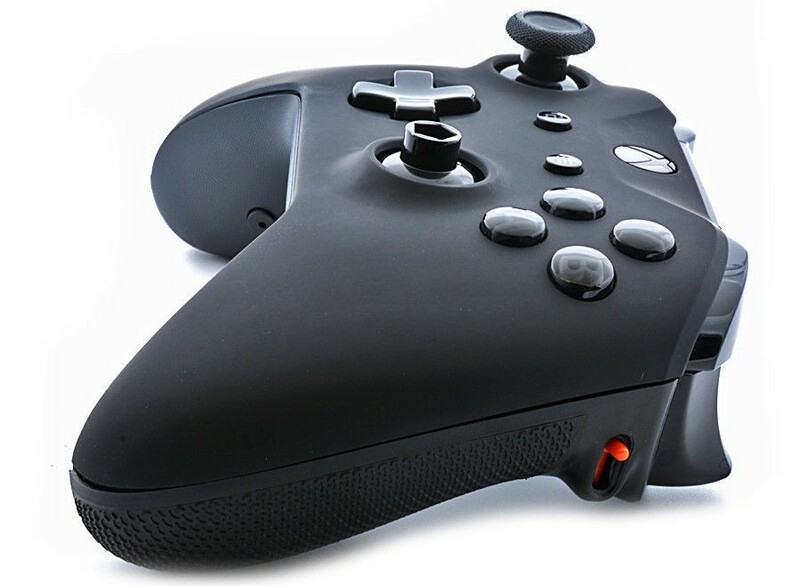 Nothings stopping your gaming experience with this controller, the possibilities are endless. Just wait there's more, now I will cover the "sub modes". This is where you can actually change the behavior of any function. For example; program dropshot to only kick in when your character isn't aiming. You can set the jumpshot mode for a single jump, many jumps, and then slow, medium, and fast. We make sure that you are able to adjust every little detail to your choosing. There are many different features and functions that you will only find on infusion programming, and we will list them for you. (NO OTHER COMPANY SUPPLIES THIS) Multi Mod Functionality Easy Master Reset Sub Modes Memory Mod (Remembers what game mod your on, even if the batteries are out!) 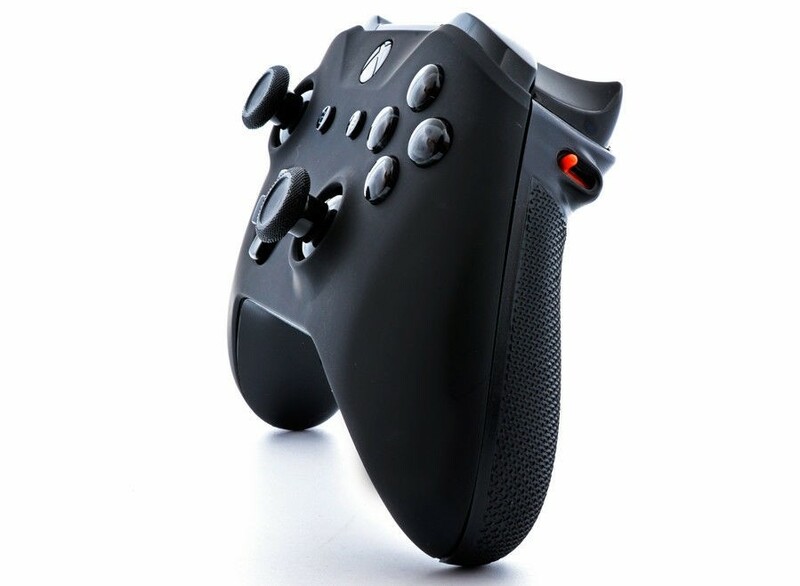 Battlefied 3 Auto Spotting Simple Button Combinations (Corresponding to the actual button) Advanced Feature Management (Disable functions you don't use) These are just the main features that separate our products, and make the infusion mod the #1 Modded Controller in the world.